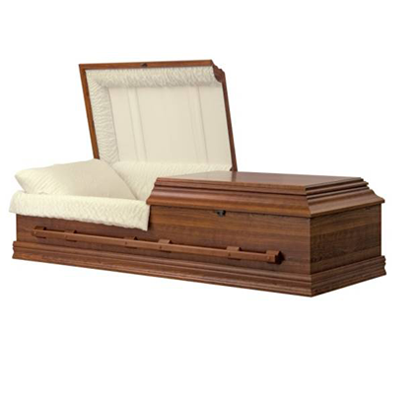 We offer a casket to rent for a visitation and/or funeral service, when cremation has been selected by the family. 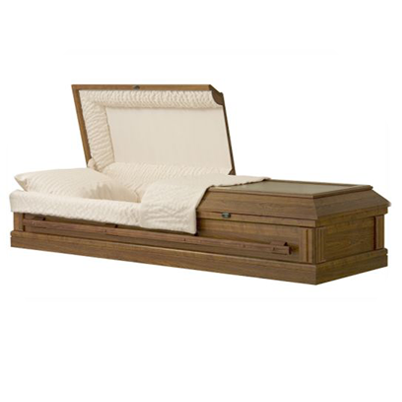 In this way, the family does not have to purchase a casket, but rents a specially crafted solid oak casket that has an inner cremation container to hold the body. 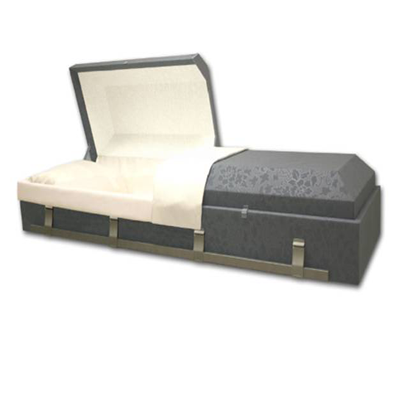 The cremation container has the same features as a regular casket, like a pillow, mattress, overlay and throw. 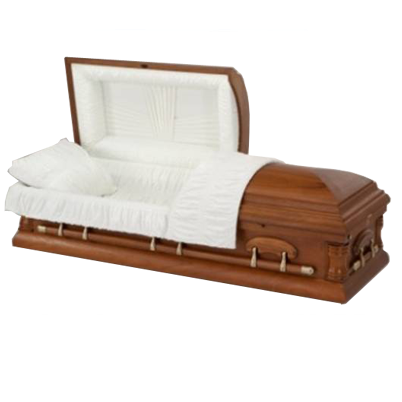 The casket itself acts as a “shell” around this container making it suitable for public visitation and viewing. 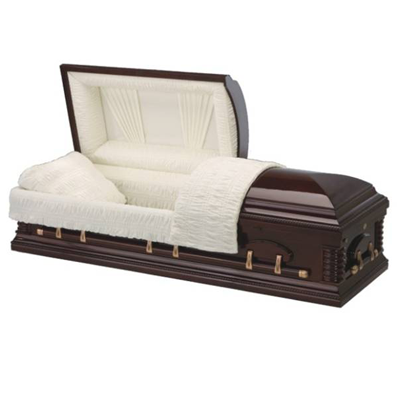 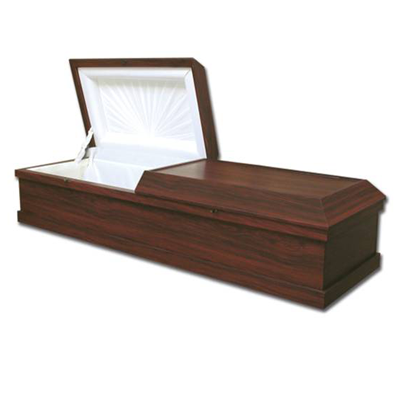 The rental casket looks just like any other wooden casket and the public would not be aware that your family has rented the casket. 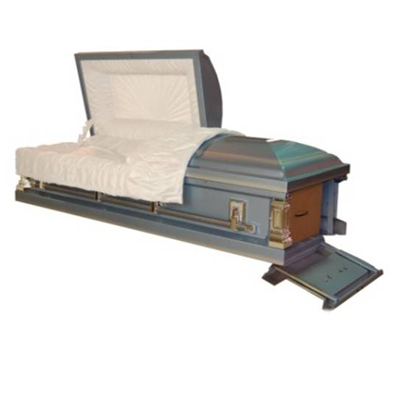 After the funeral service, the funeral director folds in the overlay and throw, places a lid on top of the inner container and the unit is then removed from the outer casket shell. 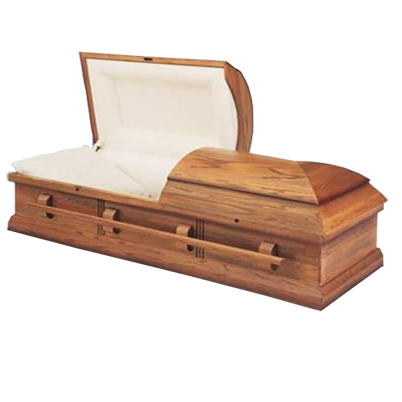 The inner container holding the body is then transported to the crematory.